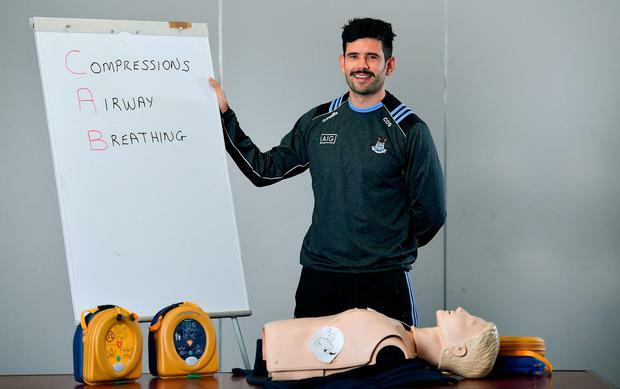 THE prospect of failing to make the League final for the first time in six years was “in the back of everyone’s head,” in the Dublin camp before last Saturday’s victory over Mayo in Croke Park according to Cian O’Sullivan. A slower start to this year’s competition than has been customary of late saw Dublin lose two of their three opening matches, leaving them needing to win all of their remaining games and relying on either Kerry or Mayo dropping points to preserve their record of making the spring decider in every year of Jim Gavin’s reign as manager. “It’s something that’s not openly talked about or communicated by the management to the rest of the team but in the back everyone’s head we knew that if we’ve any hope to get to the League final we probably need to be pulling out results for the rest of the games and probably need one or two other results to go in our favour,” explained O’Sullivan, who made his first appearance of the season in Dublin’s 1-12 to 0-7 victory over their fierce rivals at GAA HQ. “It wasn’t a focal point but in the back of our heads we did know that we did need to win that game and we do need to win,” he added. “As with every game, we’re going into it to try and pick up the two points and put in as best a possible game as we possibly can and the boys have that motto that we focus on our performance and the result will look after itself so that’s always the key focus but you can’t ignore prospects of a League final and the League table. O’Sullivan, one of just three players to start all of Dublin’s All-Ireland final appearances this decade along with Stephen Cluxton and James McCarthy, switched jobs and was married since the 2018 inter-county season concluded with him hobbling off in the final victory over Tyrone with a hamstring problem. He was, therefore, slower to return to the setup but insists his aim now is to play as many games between now and start of Dublin’s five-in-a-row bid this summer. “I was a few weeks after the rest of the lads, just two weeks after so I’ve been kind of catching up and carrying a few kind of niggles that I just wanted to get bedded down and seen to properly,” O’Sullivan outlined.